The Irish brand, human + kind, offer cosmetics that are beneficial to both skin and hair, without negatively impacting the environment or animals. For use on any skin discomfort, including dry, itchy skin, cuts, burns, etc. 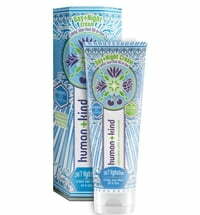 human + kind was founded in Cork (Ireland) during 2011 and has set the task of producing cosmetics that can be purchased and used in good conscience. Pure and natural ingredients ensure that perfect formulas are created, providing customers with an excellent range of cosmetics. Furthermore, the products are versatile in use - one product can be used for numerous applications. This reduces the number of products needed for personal hygiene purposes while also minimising waste. 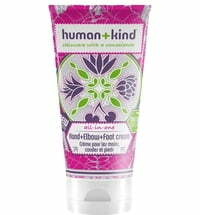 human + kind does more than just produce cosmetics, they strive to make the world a better place to live in, therefore their products are both eco-friendly and natural. For happy humans and a happy planet! only the best from Mother Nature: without any synthetic additives. zero petrochemicals or parabens used. raw materials and products are not tested on animals. raw materials are traded at fair prices placing great importance on sustainability. employees and their families are supported.